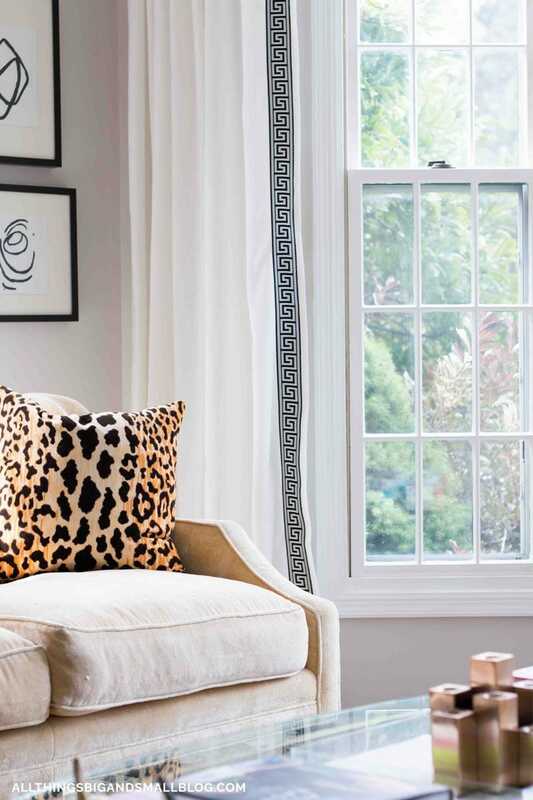 Adding curtains to your room is one of the best ways to make a room look finished. Plus, by hanging curtains high and wide, it will make your ceilings seem taller and your rooms seem larger! Adding curtains can often cost a lot of money, but I have perfected how to zhush up inexpensive curtains that only look high end! Here are my favorite projects! PSST! 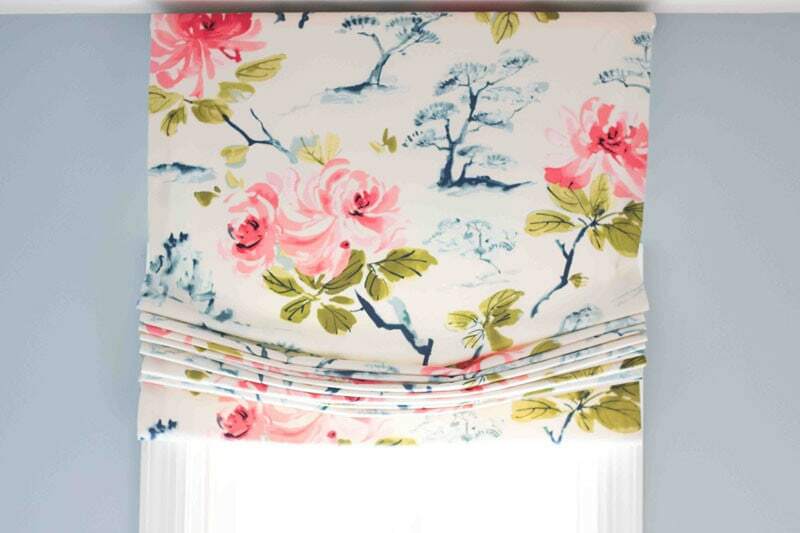 Don’t forget to download my free guide on decorating hacks including how to hang curtains! 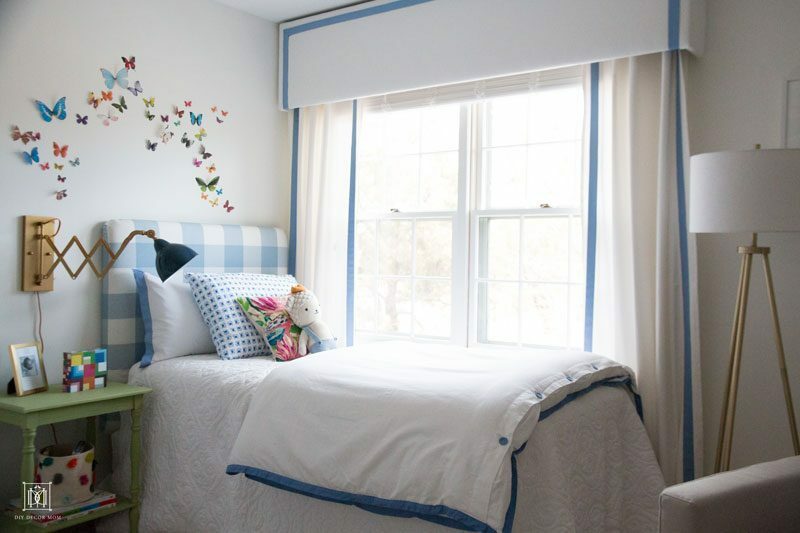 This step-by-step tutorial takes you through the process on how to make your own Roman Shade–a fantastic solution for curtains when you don’t have a lot of space and don’t want something dragging on the floor. We recently re-did this DIY Pelmet Box for our nursery, and I need to re-shoot the space because they look fantastic! This easy DIY Valance was a piece of cake and makes the room look way bigger than it actually is! In our living room, I mocked up these DIY Greek Key Curtains to add another layer to the space and the results are amazing! Everyone always asks where I had my custom drapes done! See how you can make them too here! On a deadline or just don’t feel up to doing DIY Curtains? 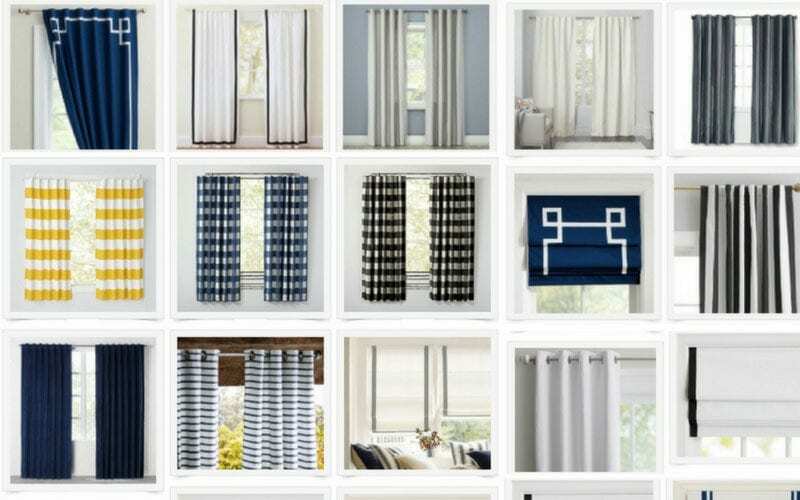 Check out my favorite curtains in one spot! These DIY Pom Pom trim curtains are still near and dear to my heart, even though they were one of my first DIY projects in our current house. See how to make your own here.